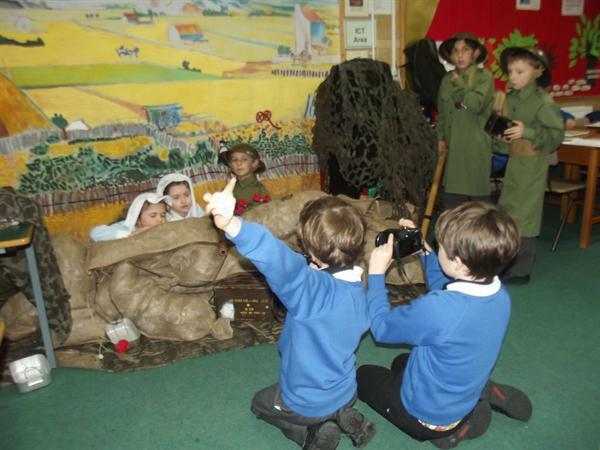 With the 100th anniversary of the 1914 Christmas Truce Class 3S dressed up in soldier and nurse uniforms as part of their WW1 drama re-enactment. 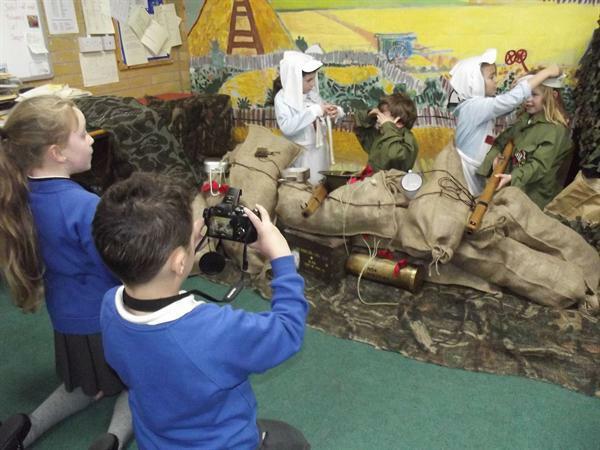 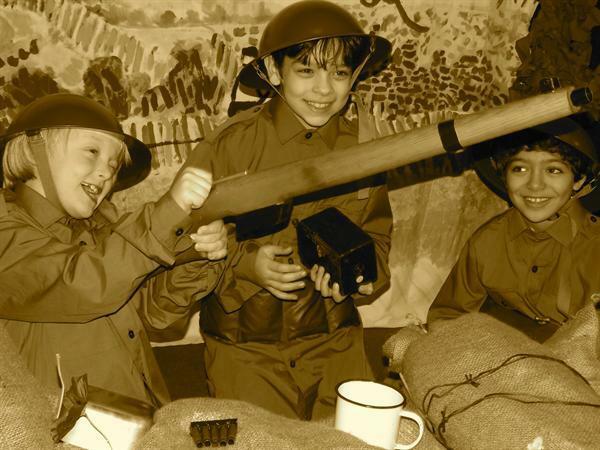 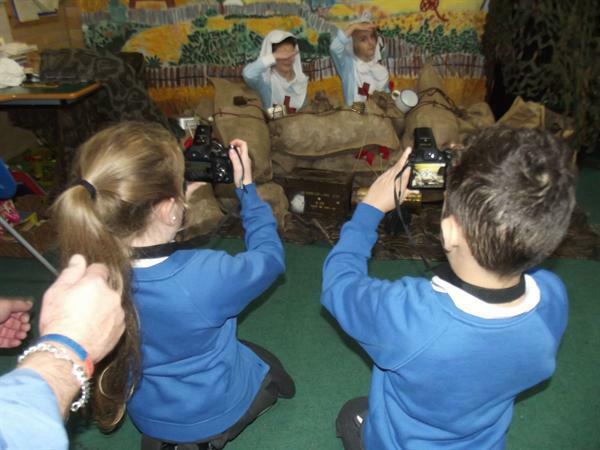 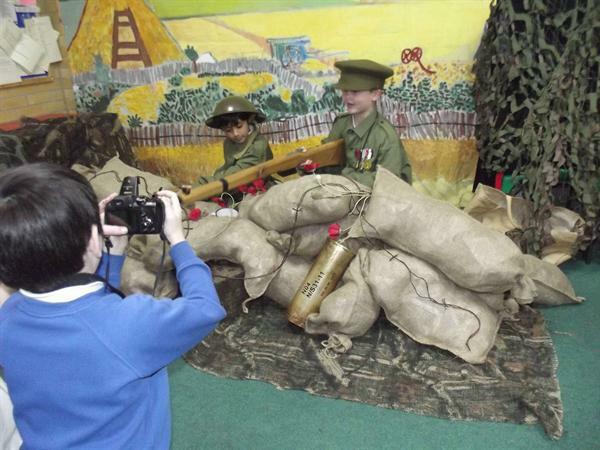 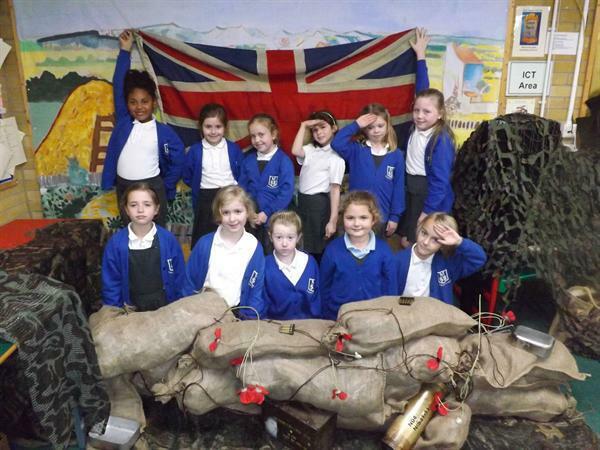 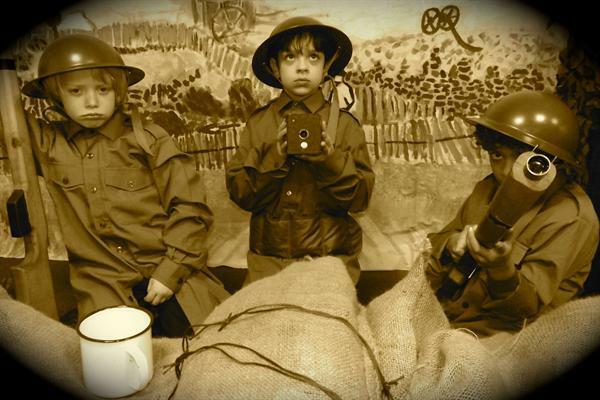 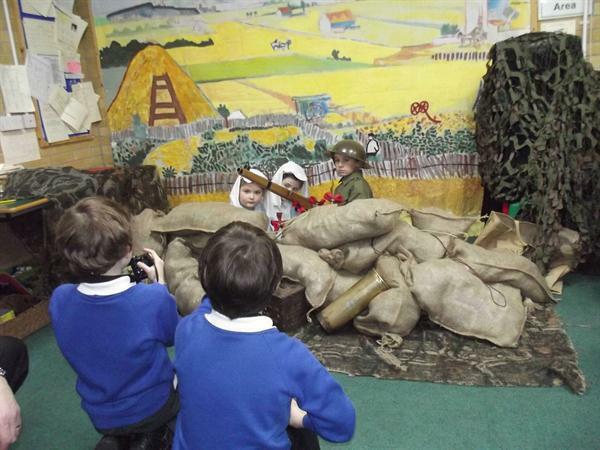 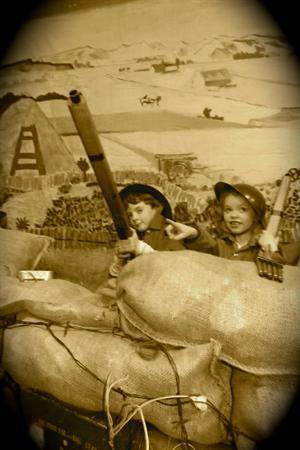 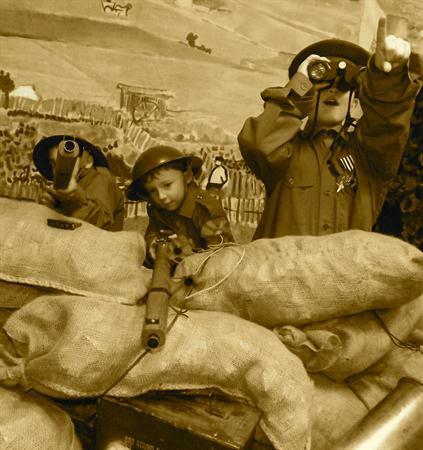 The children worked with 'Great Photos For Kids' Company taking photos of each other behind trenches and with backdrops of battlefields behind them. 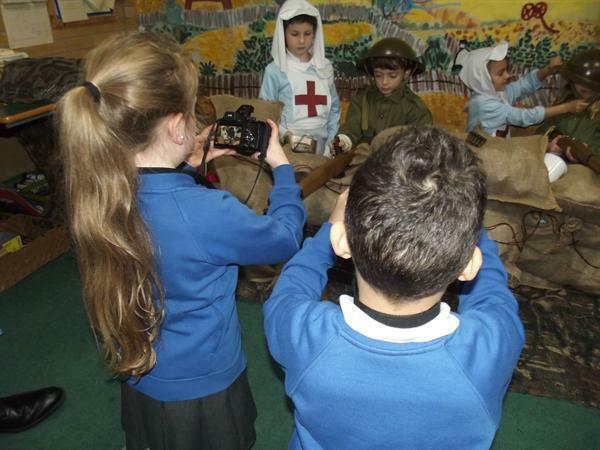 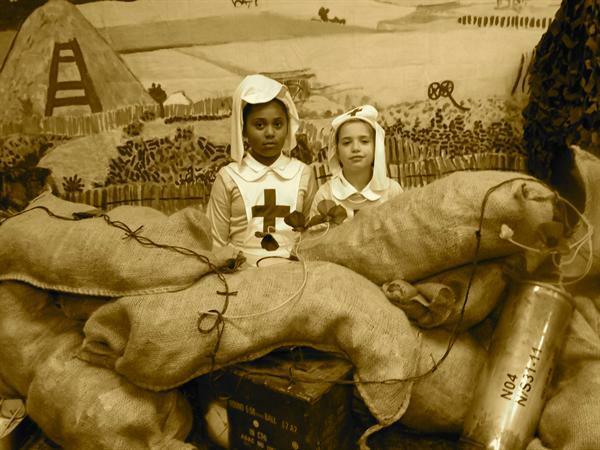 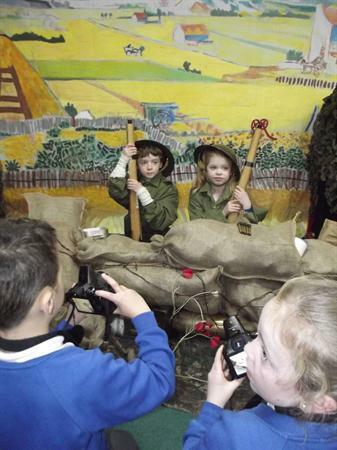 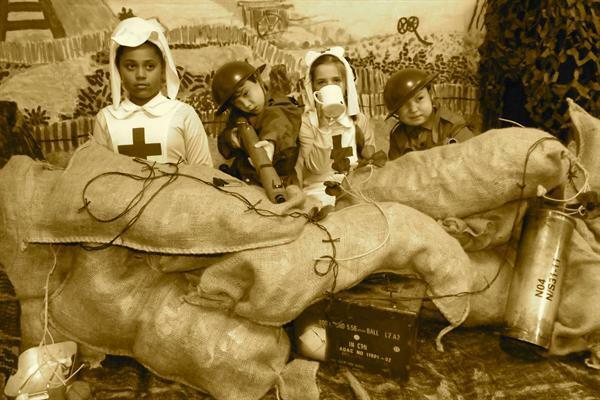 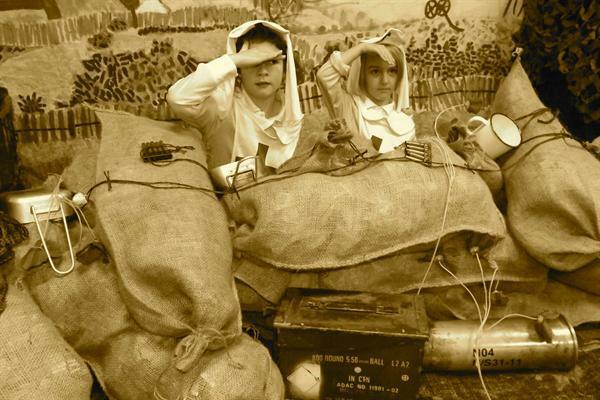 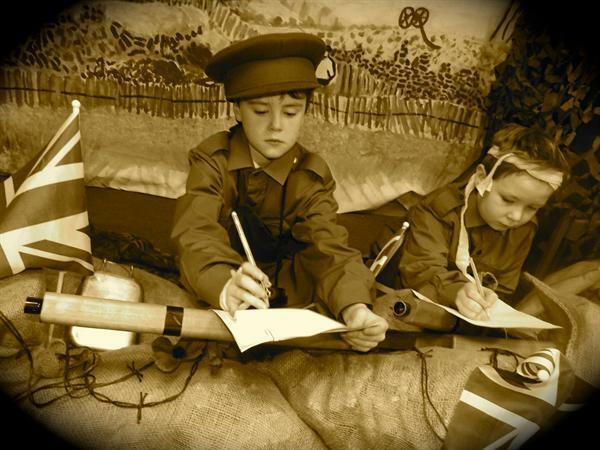 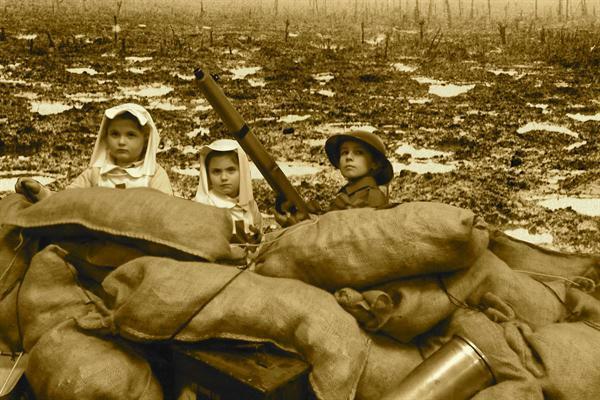 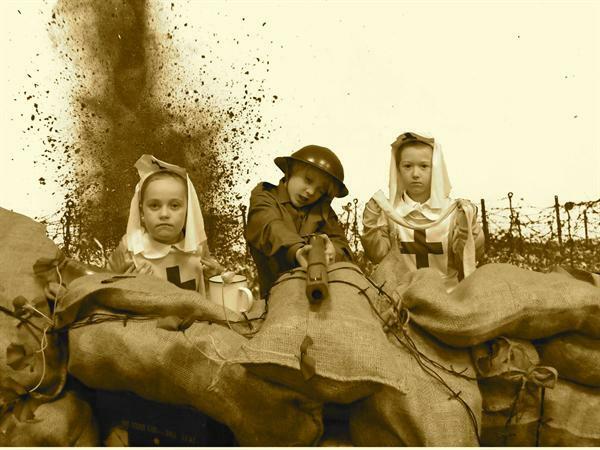 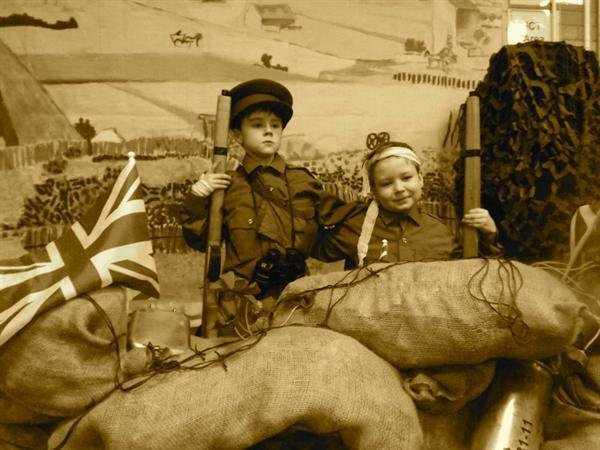 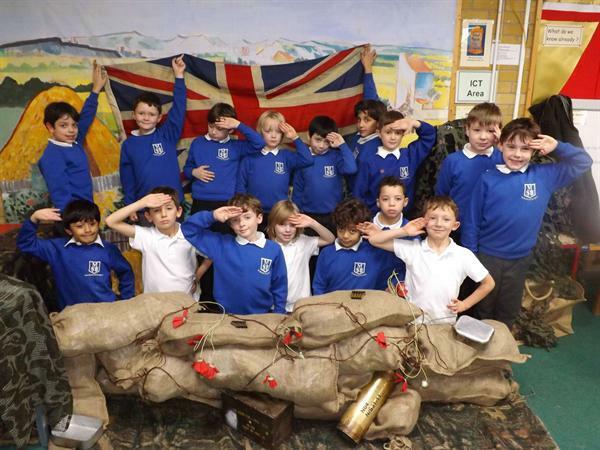 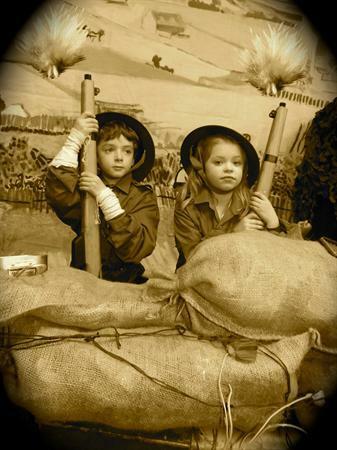 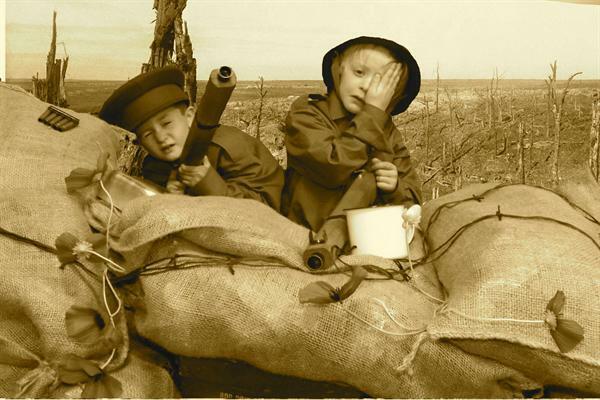 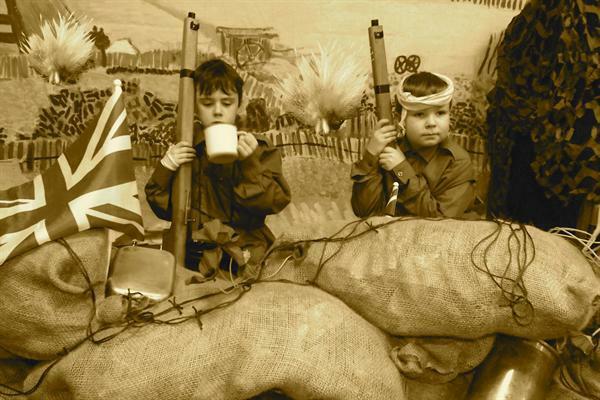 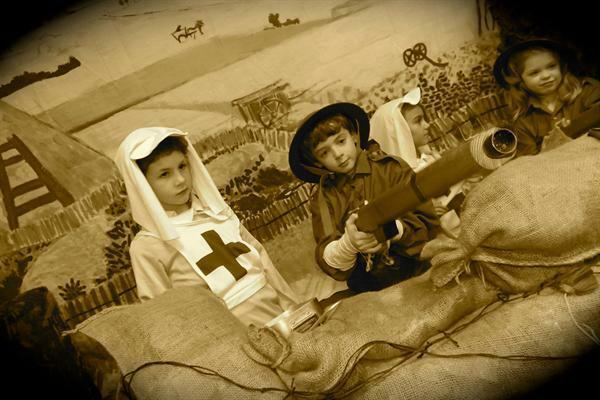 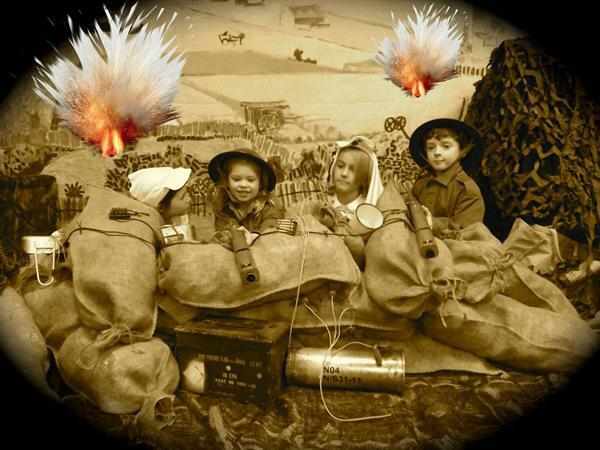 The photos show the children acting as soldiers and nurses during WW1. 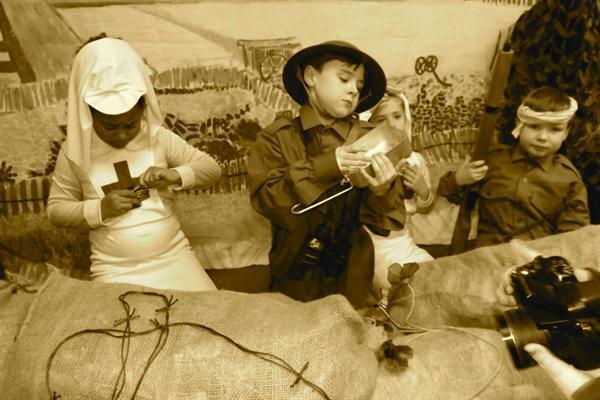 The Christmas Truce was held by soldiers posted around the trenches of Ypres during the Christmas of 1914. 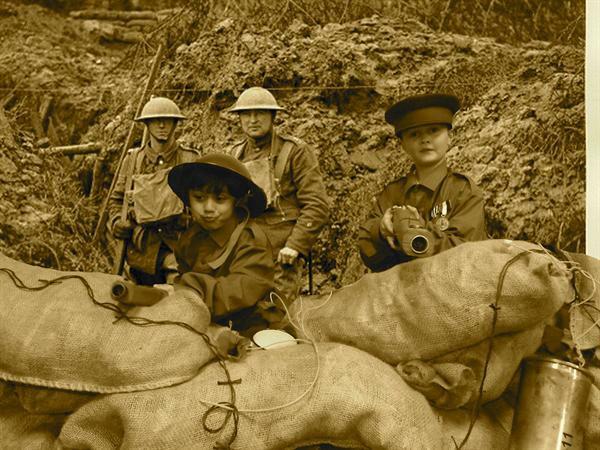 Check out the Football Remembers website where you can find out much more about that historic event where, for a short time at least, the game of football brought men, fighting each other just days and weeks before, together in their common love of "the beautiful game".